This trend Advisor is based on Alexander elder's multi-timeframe strategy. Automatic Advisor "Elvis79" royally strict, reliable and chic. 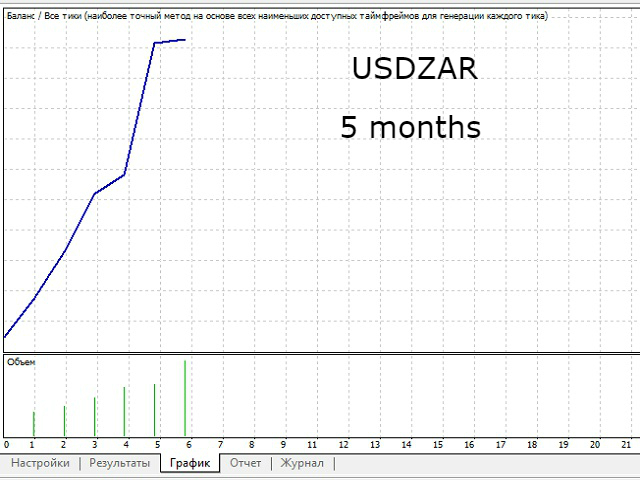 It is optimized for the USDZAR currency pair. With the author's settings is set to the timeframe H4. At the same time, the EA trades at the level of the daily timeframe, that is, it holds the trade for several days. The EA uses a sophisticated trading system "Giant". His whole concept is directed against the risky and irresponsible policies. Before trading on other currency pairs, be sure to optimize and test. The signal panel of the EA is a quality indicator. If all the rectangles are of the same color, there will be a reversal at least on the H1 chart. Green color indicates the price movement up, red - down.